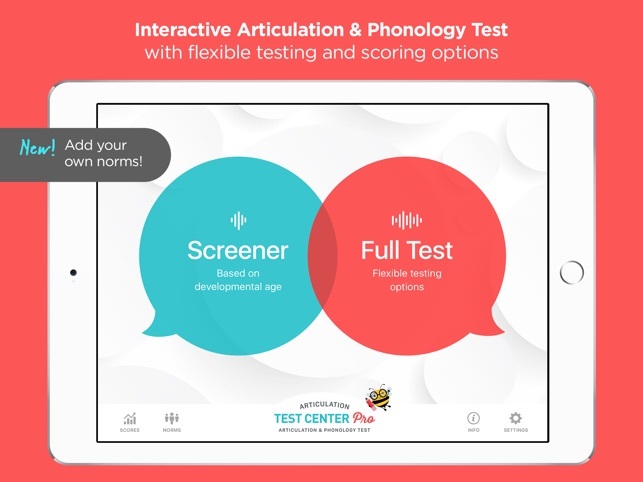 Articulation Test Center Pro is an articulation and phonology test developed as both an informal assessment and a measure to monitor progress in speech development. It was created to be used as a supplemental assessment in conjunction with standardized tests. Articulation Test Center Pro gives speech pathologists flexibility to test specific areas of speech. The speech sound norms, intelligibility measures and the age at which phonological processes are eliminated are reported in the results and are based on normative data available in the research. All research considered is cited in the app in the results section and in the generated email. Articulation Test Center Pro has two basic tests, the 'Screener' and the 'Full Test'. 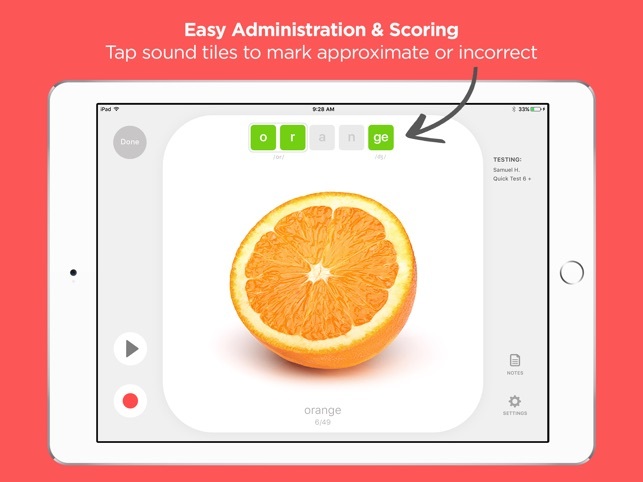 The Screener is for quickly screening student’s articulation skills based on age while the Full Test is a customizable test for assessing articulation and phonology proficiency. 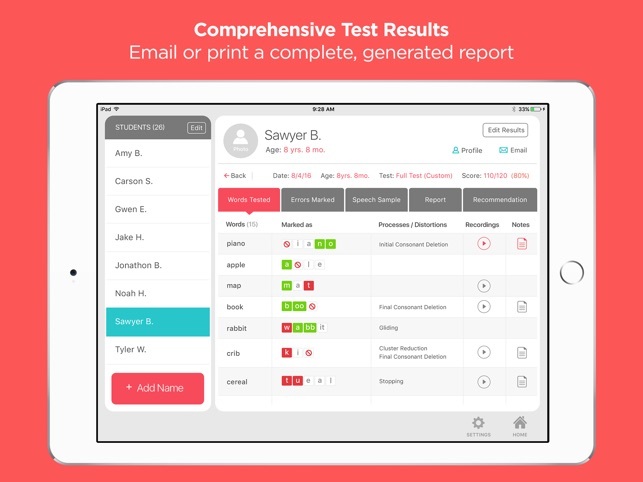 **The Screener** lets you select the test based on the age of the child being tested and only sounds that are age appropriate will be presented for testing in the screener. This speeds up test administration time significantly. Not only are the sounds tested age appropriate but the number of stimulus images are age appropriate as well. 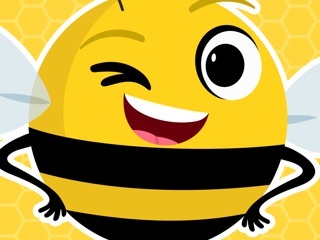 **The Full Test** has the flexibility of testing initial sounds, medial sounds, final sounds, initial blends, R sounds, vowels and creating a speech sample. You can test any combination of these options or test them all at once! 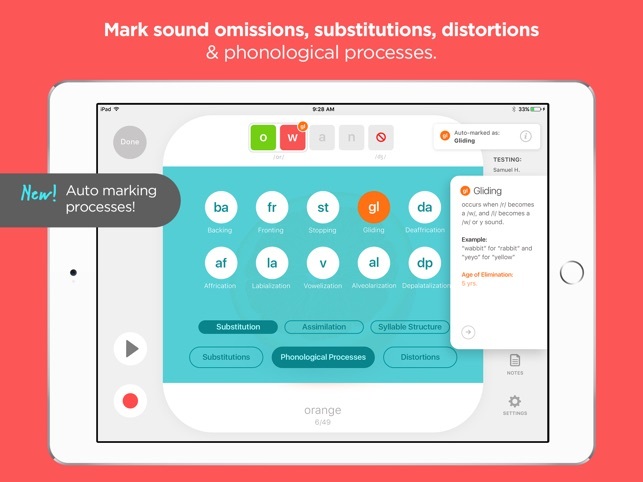 - Marking sound omissions, substitutions, distortions and phonological processes is a breeze! 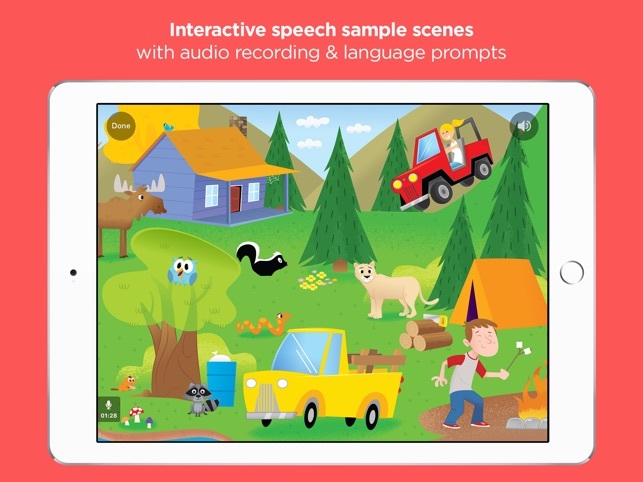 - Add a speech sample with 3 beautiful, illustrated speech scenes to explore! - Easy to interpret and informative test results in an instant including a full written report! Articulation Test Center Pro makes identifying articulation delays and writing goals quicker and easier! The illustrated speech scenes can also be used for fluency and language samples. The user friendly design, clear images, beautiful illustrations and informative results will truly make your test days brighter! I am enjoying this app quite a bit. I like the automatic notation of phonological processes, and I love the option of choosing the norms that you want to follow. It has become my preferred articulation assessment tool. I do have a couple of issues, though. One, it only sometimes emails the results when I instruct it to do so. Sometimes it emails several days later. The other issue is with the assessment report. I certainly don’t turn in the report, but I do print it and use it for my records. It is very long with lots of wasted space on the report. Please refer to the report on the Articulation Assessment Toolkit. That report is very well organized and it is much easier to read than the report generated by this app. It looks professional as well, for the folks who may choose to submit it. Need better norms? Well here they are! I am so excited to get the full version of this assessment. Other evaluation tools... (won't mention any names... but you all know what I'm talking about) are over qualifying and do not show the student's progress. This app will let you adjust norms to fit your populations is very helpful with demonstrating progress. You will be impressed at the ease of administration. And...For the price, you can't beat it. I love this app! It is easy to use and makes analyzing evaluations and progress very easy.